"We design eyewear to celebrate the diversity of faces and the uniqueness of individuals. The glasses we make are sparks of our imagination. You complete these thoughts and bring the dreams of l.a.Eyeworks into being." Original, often iconoclastic, and always invigorating, eyeglasses designed by l.a.Eyeworks are immediately recognized for their bold shapes, imaginative handling of materials, and expressive use of color. Working from deep intuition, McReynolds and Gherardi begin each of their limited-edition designs with a hand-drawn sketch, the first step on a path of meticulous production where the finest materials are shaped by a combination of technology and hand-finished crafting. Every aspect of an eyeglass frame's shaping and construction has at one time or another been re-thought and re-invented as part of the designers' restless imaginations. The result is an expanding legacy of glasses that balances innovation with wearability, walking a fine line between optical tradition and a redefining expression of the "now." 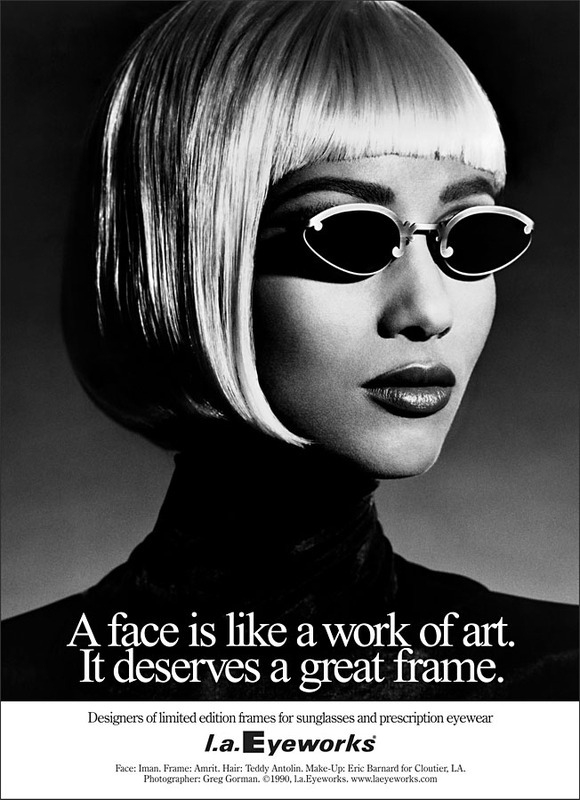 Although l.a.Eyeworks have graced the faces of celebrities, performers, artists, and athletes, the deeperintention is for you to find a frame that conforms to no fashion sensibility but your own.